Hey all! I’m busy painting my guesthouse, so I’m only dropping in to let you know who won copies of The Vanished Knight. When Callan is forced through the doorway, she finds herself in the magical continent of Tardith, where she’s shocked to learn her schoolmates Gawain and Darrion are respected soldiers in service to the king of Nordaine, one of Tardith’s realms. More than that, the two are potential heirs to the Black Knight—Nordaine’s crown prince. But when the Black Knight fails to return from a mysterious trip, the realm teeters on the brink of war. Darrion and Gawain set out to find him, while Callan discovers there is more to her family history than she thought. The elves are claiming she is their princess. Now with Darrion growing ever more antagonistic and her friendship with Gawain blossoming, Callan must decide whether to stay in Nordaine—where her secret grows ever more threatening—or go to the elves and uncover the truth about her family before war sets the realms afire. Congrats! And thank you to all who played along. Okay. So… Today is Update Day for the Big Dreams Bloghop, which means I get to regale all who are interested with stories of my progress. Finished the rough draft to book three in The War of Six Crowns series. Saw a graphic designer who’ll be helping me create a brand and image for said series. Finished the content and structural edits to The Vanished Knight. We are officially in copy edits, people. Wrote half of Birds vs Bastards. I’m still waiting on the ITIN, which is putting a serious wrinkle in my plans. The reason for this is that without that number, I can’t publish. So I’m really sitting on needles in the mean time. Without the ITIN, I don’t have a fixed publishing date. And without a fixed publishing date, I can’t arrange for blog tours and the like. Sigh. Because the ITIN puts things out of my control at the moment, I won’t be setting any fixed goals with regards to The Vanished Knight. Besides, the edits will be done when the edits are done. In the mean time, I’m eagerly awaiting the production of my first ever book cover. Depending, of course, on whether or not I’m publishing during that time. Hm. But yep, that’s pretty much where I am at the moment. How are you doing on your big goals? If you haven’t signed up, please do. No dreams are too insane, too big or too small. Finally! I announce the winners! Today is the day for me to announce the winners to the Paying Forward Awards and January’s Word Master Challenge. Before I get to it, though, some admin. I know that my absence this month made things a bit difficult, so I want to use this opportunity to ask for February’s prize sponsors to please step forward. The arrangement is the same as before. You can volunteer anything you feel comfortable with volunteering. In return, you’ll be linked to on my blog and I can and will help with promoting your blog/book etc. If you’re interested, please contact me at mishagericke(AT)gmail(DOT)com to volunteer and if you have any questions. Please put “Paying Forward” as your topic. Thank you in advance! 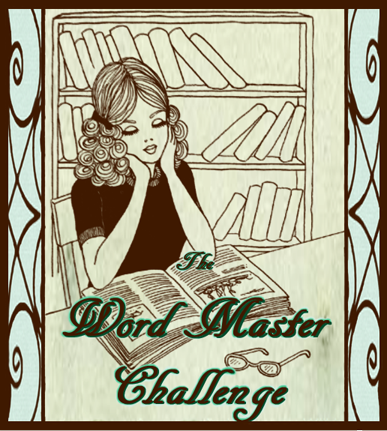 Before I go, I want to announce the best of the worst for Word Master Challenge January. For those of you who missed it, I mean that I’m announcing three Word Masters. Sharing Second place are: Roland and Carter with two really hilariously bad entries. In First Place (winning a ten chapter crit) by a small margin is August. His entry was insanely bad and funny, but is only for adult readers, so be warned. Before I go, I want to say that the overall level of the entries were really good. So much so that I couldn’t do a top five as planned because fourth place was tied between five people. Thank you very much to all who entered. There you have it, folks! Who’s in for WMC Feb? Who’s volunteering for the Paying Forward awards? (Don’t forget to mail me too. I have to be able to contact you later.) Any suggestions for Paying Forward Award Categories?